The CMPS12 is our 4th generation tilt compensated compass, powered by the Bosch BNO055, and delivering better performance than ever! 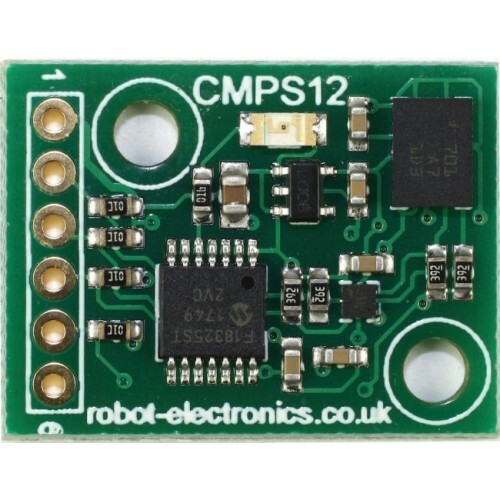 The CMPS12 module is a true tilt compensated compass for a fraction of the price of competing modules. 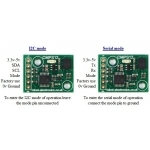 Unlike similar modules which just give you the raw data, this little board incorporates a powerful 16-bit processor which performs all the complex calculations to give an output of 0 to 359.9 degrees. Employing a 3-axis magnetometer, a 3-axis gyro and a 3-axis accelerometer. 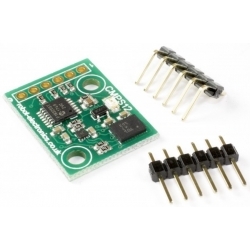 A Kalman filter combines the gyro and accelerometer to remove the errors caused by tilting of the PCB. The CMPS12 produces a result of 0-3599 representing 0-359.9 or 0 to 255. The output of the three sensors measuring x, y and z components of the magnetic field, together with the pitch and roll are used to calculate the bearing, each of these components are also made available in there raw form. 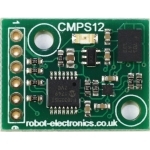 The CMPS12 module requires a power supply at 3.3 - 5v and draws a nominal 18mA of current. 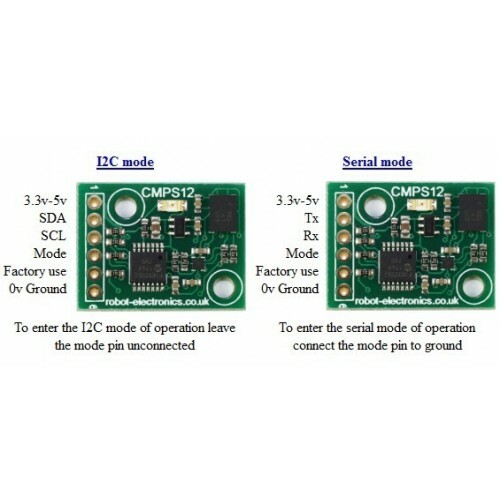 A choice of serial or I2C interfaces are provided. Updates of the tilt compensated heading occur at 75hz with the data filtered by means of a 45 sample buffer, this means a complete refresh of the buffer is achieved every 640ms. Raw data from the magnetometer and accelerometer is available every 13.3ms. The CMPS12 looks at the mode selection pins at power-up only.